Colour is an important part of our everyday lives Our heart sinks when we see a brown envelope on the doormat; children get overexcited when they see the golden arches of McDonald’s and no matter how fast an F1 car goes around the track, we can always spot the Ferrari! So, we asked Keenpac’s very own colour expert, QC Technician Steven Rogers for the low-down on colour. Is colour really so important? 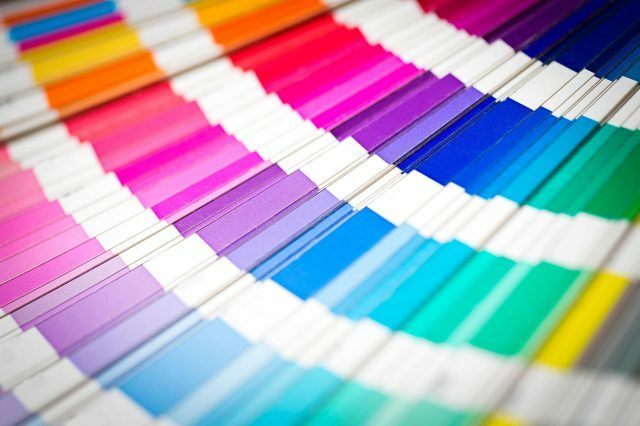 People react strongly to visual stimuli, which is one reason why colour plays such a vital role in branding. For example, children react well to primary colours as their ‘colour associations’ are still being formed. Look at Disney, their characters are always bold and strong in colour – you don’t see many subtly coloured Princess dresses! Instead, characters such as Mickey Mouse, Donald Duck or even Buzz Lightyear are formed using a handful of core shades that are simple for the child to understand. What about colour and emotions? It’s no accident that celebrities sit in a green room before appearing on TV. According to ‘colour psychology’ we feel more relaxed when we sit in a room painted green; we perform better in gyms painted blue; and red is frequently used in fast food outlets as it increases our heart rate and ensures we eat quickly! So, what’s the best way to pick a colour? It’s very subjective – one man’s pink is another man’s cerise. So, rather than rely on ‘colour names’ we use Pantone References. Developed in America in the 1950s, the Pantone system uses 15 base pigments that are mixed in various ratios to create individual shades. Think of it as a recipe that’s been created for most shades of colour. That recipe is then set in stone and allocated a Pantone Number (PMS) that is recognised around the world. So, the Pantone Number should look exactly the same every time it’s printed? Not every time. That should be the case, but there are a few other factors to consider. For example, colours look different in various light sources and when printed on different substrates; colours produced by an uncalibrated monitor or printer will vary from the final professionally printed article; and even the angle at which you hold something can alter the way your eye absorbs that specific shade of colour. Additional finishes such as OPP laminates or varnishes can also change the final colour. Does it matter which print method I pick? Absolutely! Different print methods, be it litho, flexo, pad or silk screen can result in different amounts of ink being laid down and absorbed. Even during a print run, colour can vary. A printer will usually disregard the first 20-40 prints as the rollers will not be fully coated or ‘charged’ with ink. So the first edition is normally put in the bin! At the same time, ink is constantly assessed during a large print run to ensure its density does not alter, as this can result in a darker shade of the same colour being created. How does Keenpac ensure the colour is always consistent? We take this part of our role very seriously. Sampling is very important. By having a signed off sample, a consistent D65 standard light source for measurement, and the correct colours or proofs in front of us as well as the product specification, we can make our checks as accurate as possible, and help remove some of the subjectivity. We even have a controlled area where we store our samples, to eliminate the possibility of colours being affected by light and atmospheric conditions. My final thoughts? Well, I would say have fun with colour. Retailers like Paul Smith and Selfridges use colour as part of their brand identity. Others like Apple have opted purely for white to deck out their retail stores. But one thing is for sure, whatever your colour, we’lldo our utmost to ensure it stays the same – every time!